REWARD YOURSELF WITH SOME SUNSHINE! SAVE 20% AT SELECT FLORIDA PROPERTIES! Red Roof is putting Spring Break on sale! Select locations in Florida listed below are offering a 20% discount for stays March 14 through April 30! Whether you are visiting the beach, Disney World or just looking for a fun family getaway, you will find a perfect and affordable stay with us. Red Roof Inn Panama City – Just 2 miles from downtown and 9 miles from Panama City Beach! We’re also close to Bay Medical Center, Gulf Coast Community College, the Naval Base and many outdoor attractions around the neighborhood. Click here for more to see and do! BOOK NOW! Red Roof Inn Tallahassee- Our location is within 5 miles of Florida State University, Florida A & M University, Tallahassee Community College, Downtown Tallahassee, the Capital and the Legislature. We’re only 1 mile from the Tallahassee Mall, movie theaters antique shops and many restaurants. Click here for more to see and do! BOOK NOW! Red Roof Inn Orlando South – Florida Mall – We’re the perfect base to explore all of Orlando’s great attractions at an affordable price, including Disney, Sea World, Universal Studios, LegoLand, Gatorland, Holy Land, and Islands of Adventure. Click here for more to see and do! BOOK NOW! Red Roof Inn Ft. Myers – We’re close to Sun Splash Water Park, US-41/Tamiami Trail, the Imaginarium Science Museum, the lovely Caloosahatchee River, the Shell Factory, Fort Myers Beach, Sanibel Island and plenty of outdoor activities like fishing, water-skiing, and tours. Click here for more to see and do. BOOK NOW! Red Roof Inn Jacksonville Airport – River City Mall is within 1 mile, while Cruise Port, EverBank Field(Gator Bowl), Jacksonville Landing, and Amelia Island are all within 15-12 minutes drive. We’re less than 2 miles from the Jacksonville International Airport and surrounded by a wide variety of restaurants. Plenty of beaches are also nearby. Click here for more to see and do. BOOK NOW! Red Roof Inn Tampa Fairgrounds – Casino – We’re adjacent to the Florida State Fairgrounds and Amphitheater. The Seminole Hard Rock Casino is just 2 miles away. We’re also near the University of South Florida, Tampa Convention Center, Busch Gardens, YBOR City, the Sun Dome, the Ice Palace & Raymond James Stadium and Tampa Convention Center. Click here for more to see and do. BOOK NOW! Red Roof Inn Jacksonville North – Enjoy easy access to local shopping and attractions including River City Market Place, Jacksonville Zoological Gardens, Jacksonville Museum of Contemporary Art and the Anheuser Busch Brewery. Several nearby universities and event centers include Jacksonville University, the University of North Florida, Prime Osborn Convention Center, Alltel Stadium and Jacksonville Fairgrounds. Dames Point Cruise Terminal and Jacksonville Port Authority are also nearby. Click here for more to see and do. BOOK NOW! Red Roof Inn Ellenton – We’re just minutes away from the Bradenton Convention Center, Ellenton Premium Outlet Mall, and Sarasota-Bradenton International Airport and only a short drive to Bradenton Beach and Anna Maria Island. Click here for more to see and do. BOOK NOW! Red Roof Inn Ormond Beach – Enjoy our gorgeous outdoor pool in the beauty of the Sunshine state. The perfect way to relax after a long day visiting nearby attractions like the local beaches, Daytona International Speedway, Daytona Beach Main Street/Boardwalk, shopping at Tanger Outlets, Volusia Mall, and Daytona Flea and Farmers Market. Click here for more to see and do. BOOK NOW! Red Roof Inn Jacksonville – Orange Park – Close to Cummer Museum of Arts & Gardens, Museum of Science and History, Jacksonville Landing, EverBank Field, Jacksonville Zoo, World Golf Hall of Fame, Jacksonville beaches and St. Augustine outlet malls. Click here for more to see and do. BOOK NOW! 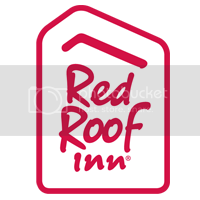 Red Roof PLUS+ & Suites Naples – This Red Roof is located less than one mile from the beaches of Naples. We’re also close to Naples Municipal Airport, US 41/Tamiami Trail, Tin City, Naples Pier, Sweet Liberty Sailing, Von Liebig Art Center and Collier County Museum. Click here for more to see and do. BOOK NOW! Red Roof Inn Tampa Bay – St. Petersburg – Come for the sunshine, the ocean breeze and some of the best fishing in the world! We’re located off I-275, making it easy to explore the entire peninsula from Clearwater to the tippy end of Fort Desoto Park, known for its white-sand beaches and wilderness. Come for spring training and cheer for your favorite team at Tropicana Field, home of the Tampa Bay Rays. From outdoor concerts to sumptuous restaurants and great shopping, spend time at the BayWalk Center and the St. Pete Pier. Click here for more to see and do. BOOK NOW! Red Roof PLUS+ West Palm Beach – Close to Palm Beach Intl Airport (PBI) this hotel is just off I-95, with easy access to all of Palm Beach County, including Palm Beach County Convention Center, the South Florida Fairgrounds, the Port of Palm Beach, Metrocentre Corporate Park, Northpoint Corporate Park, City Place and Worth Avenue. Click here for more to see and do. BOOK NOW! Red Roof Inn Jacksonville – Southpoint – Come relax by one of the beautiful nearby beaches. Jacksonville Beach and the Pier (15.2 miles), Neptune Beach (16.9 miles), and Atlantic Beach (17.3 miles) are all nearby. Downtown Jacksonville is only 8.3 miles away. Come experience the arts and culture, dining, shopping, sports, and nightlife of downtown Jacksonville. Click here for more to see and do. BOOK NOW! Book by April 30, 2017 for stays March 14th through April 30, 2017 with VP622089 to save 20%! Skip the beach and head to Pittsburgh for Spring Break!